He was, is and ALWAYS will be a big part of the Ferrari family and this is how family members should be supported. He was always just "on lone" to Merc in my opinion. Happy Birthday Michael and get well soon. Happy Birthday Schumi All the best wishes to you on your road to recovery. Penblwydd hapus (happy birthday), Michael. Happy birthday Michael, get well soon! Come on Michael do something special to-day. that does look amazing. I wonder where that is? I think it is Sudharshan patnaik.. Happy birthday love you... Com on schumi.. Happy 45th Birthday, Michael! May you see 45 more! Wishing you all the very best on your Birthday Schuey. Dig deep & keep fighting. Happy Birthday Michael may you get the best birthday present of all - your fitness and life back on track. The F1 world is sadder whilst you are sleeping so wake up soon and us one of your witty comments on what happened. Thoughts to for his wife and children my love and prayers are with you. Happy Birthday Champ! Hoping and praying for your speedy and complete recovery! Totally devastated by this, I'm hoping and praying he makes a full recovery. Get well soon Michael and lets hope we hear a little bit of good news on your birthday, small steps! As if I own any! Seeing all the support today (which Ferrari instigated) is very moving. Please please please let there be good news over the course of the weekend. 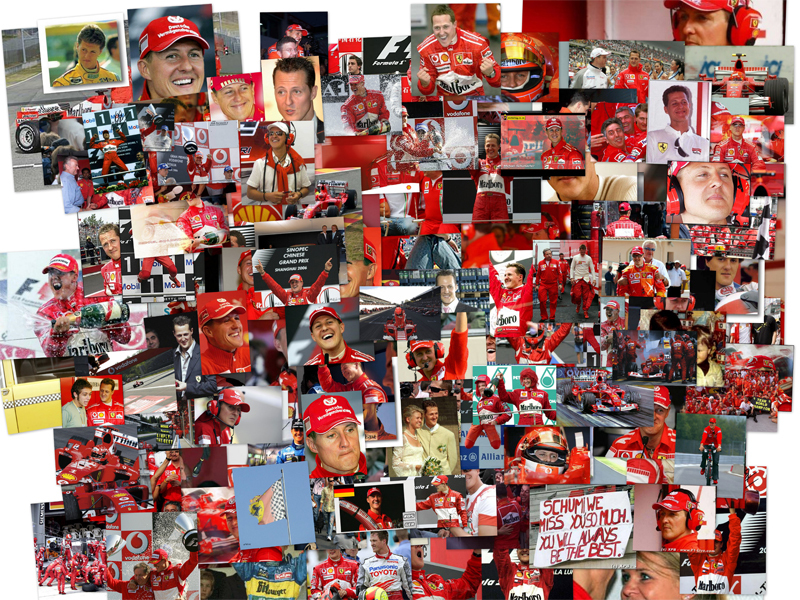 Maranello, 3 January – This is a special day for Ferrari and all its fans, as it is Michael Schumacher’s birthday. At the moment, he is tackling the most important fight of his life and therefore we want to send him very special wishes. There have so many wonderful moments we have spent together and we have chosen 72. It’s not a random number, as it represents the number of wins Michael achieved with the Scuderia from 1996 to 2006: 72 Grands Prix that gave us and the millions of Prancing Horse fans from all over the world so much pleasure. These were unforgettable moments which, along with his passion, commitment and dedication makes Michael part of the great Ferrari family for ever. Everyone at Ferrari, from President Luca di Montezemolo and Team Principal Stefano Domenicali, who are in touch all the time with Michael’s family and those closest to him, are continuously watching how his situation evolves. Obviously, today there are double the reasons to wish him all the best. Not sure if this has already been mentioned a 14 page thread is a lot to read through (for me), can TSN get together and make a warming book like how it did for Felipe back in 2009? I had a chance to download the PDF version to read and it was plain awesome. I'd be sure to add in my share of contributions if this book thing is going to be on. Take that 92nd victory and get well, great Champion! You are simply the Best! Last edited by Ste; 3rd January 2014 at 16:00. So angry at reading that bile from the BNP that I'm almost in tears. How dare he even mention Michael in the same breath as that piece of human waste. Not even going to mention it again in this thread, that lot aren't fit to even think about Michael let alone speak about him. It doesn't deserve to be read, let alone reacted to. I'm sure ther best birthday present for Michael would be for his family to see some improvement and positive hope, so I'll wish him Buon Cumpleanno on that basis. Happy Birthday Micheal, not really best birthday, but least still stable and have family round. Just please fight and get better soon. We are all supporting and willing you on. You can/will do this. You may of left the "family" but you will always hold special place in our hearts. Once Tifosi, always Tifosi. What a low life creature!!!?!?!? You may of left the "family"